Hi guys, I know it's been a minute since I posted on here but truthfully I've been extra busy with the kids since it is summer break. Ben started soccer camp this week and Emme has been enjoying our days together. I hope you guys can understand. But I am always trying to keep you up to date on Instagram, so make sure you follow there. 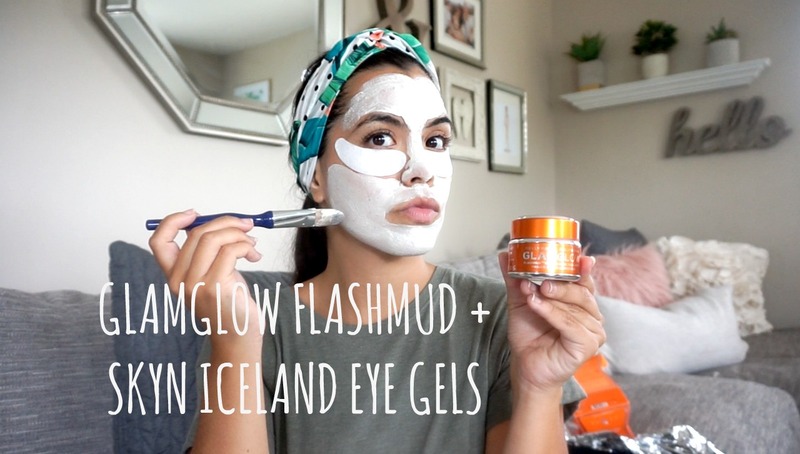 Last Friday I filmed this short review on Glamglow's Flashmud Mask. They recently sent me a couple of products and I figured the best way to tell you guys how I feel about this mask would be by recording it. Masks are such an important part of my beauty routine, everytime I use a mask my skin feels amazing so I was super excited to try FlashMud. I've used YouthMud in the past and loved it so I had high expectation for this one. You can check out what I thought on this video below. DOn't forget to subscribe to my channel if you haven't done so yet! So below is a full video of my first impression on Glamglow's FlashMud Treatment. Have a great week!